Becoming a SUNDEK Dealer includes much more than buying a product from a company. It is about beginning a long-term relationship with us, your new partners. We are a decorative concrete manufacturing company and have created systems of products that contribute to the success of contractors. If you are looking for product only, you’ll have to look elsewhere. If you are looking to grow a decorative concrete business, SUNDEK is THE choice! With a complete line of decorative concrete products and protected-service territories, SUNDEK offers an ideal investment opportunity. Within the rapidly growing decorative concrete industry, which offers unlimited potential for financial success, SUNDEK is a premier brand name that is synonymous with quality, longevity, and integrity. and choose any available location, develop your own business plan, and hire and manage your own staff with the turnkey tools and support of SUNDEK’s model dealer program. and you have the advantage of buying a business that’s already up and running. Inquire about current SUNDEK dealers nearing retirement or seeking a growth business partner. We Take the Guesswork out of Operating a Dealership. The team at SUNDEK supports your success and has quantified and qualified all aspects of the business for you. As a service contractor, we recognize that success is best achieved by supporting and supplying our dealers with the tools they need to thrive. We believe in lifting our dealers up to drive their success every day. 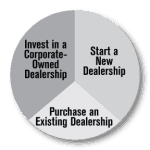 not only in the use of our product lines, but also in how to efficiently and effectively operate a successful, profitable dealership. We take the guesswork out of operating a business. We offer a blend of unique products, staunch quality control measures, and a strong dealer onboarding and training process with unrelenting innovation. We have re-imagined concrete and we can help you re-imagine your future. Join us! Every year, all SUNDEK dealers have the opportunity to meet, train, learn, and share ideas with one another on everything from products to management to current trends. Industry experts and business specialists are invited to help you manage and grow your business. Our Awards Banquet is a can’t-miss event where the best in the industry get rewarded for their hard work!